The first part of the exam is focused on your current visual needs. This helps determine if you have any refractive errors, such as: nearsightedness, farsightedness, astigmatism or presbyopia. We also check and treat amblyopia (Lazy eye), eye teaming problems, or eye turns. Based off your vision demands, you will be presented with customized options to fulfill those needs. This could include glasses, contact lenses and/or vision correction surgery. The second and more important part of your exam will be a comprehensive evaluation of the overall health of your eyes. This involves using state of the art equipment to diagnose any eye health problems. We then manage or co-manage all eye diseases such as Keratoconus, Cataracts, Glaucoma, Macular Degeneration, Diabetic retinopathy, Dry eye syndrome, Eye Infections, and Lazy Eyes. 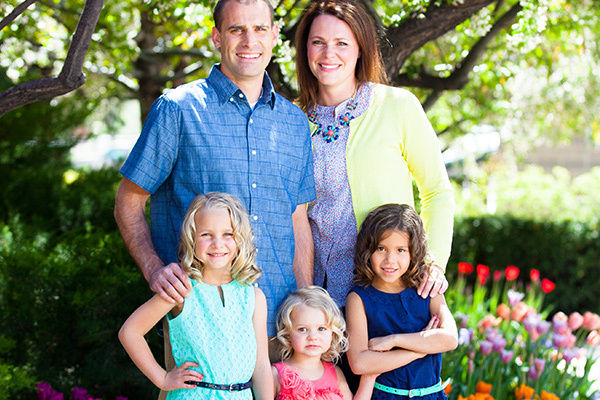 Family Focused Eye Care was founded 2009 in Herriman Utah by Dr. Paul Hulet. Our vision is to provide the most advanced eye care available. There is so much more to vision care than seeing clearly. Your team at Family Focused Eye Care is committed to making your visit the best experience that you’ve ever had. You will quickly realize the value of the service we provide, as you are educated on every aspect of your visit. From infants to seniors, we have the most advanced technology to cover all of your vision needs. We are so excited to provide your family with the best vision today, as well as preserving your vision for years to come.